Astelion Advance Edition is the only entry level multislice CT system in the industry offering the same superb Adaptive Iterative Dose Reconstruction technique (AIDR 3D) as implemented in our elite CT systems. The 16-row Astelion Advance Edition incorporates 0.5 mm Quantum Detector technology for acquiring true isotropic voxels and has a FOV of 50 cm. 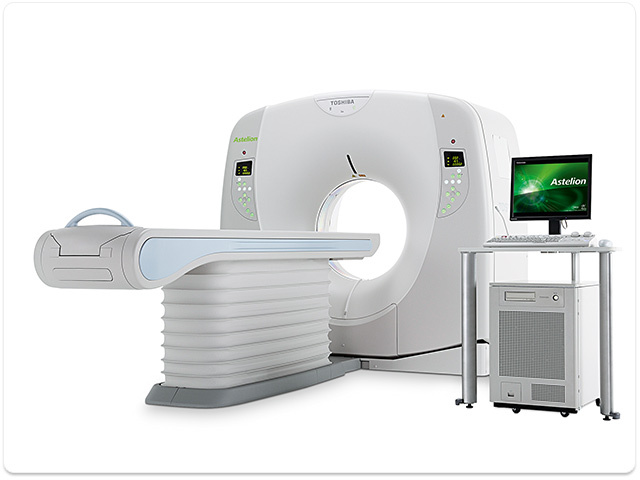 The “green” (ECO) addition of the Astelion series to the Canon CT scanners will open new possibilities in medical imaging. To protect the environment and improve the quality of life, Astelion Advance Edition reduces carbon footprint and lowers medical radiation exposure.